If you’re a homeowner, you’re probably already aware of how much the value of your real estate is affected by the condition of your roof. 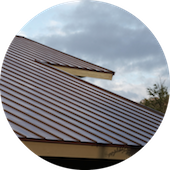 Nearly all real estate transactions require a roof inspection, and there’s a reason for that: replacing a roof is a considerable investment. 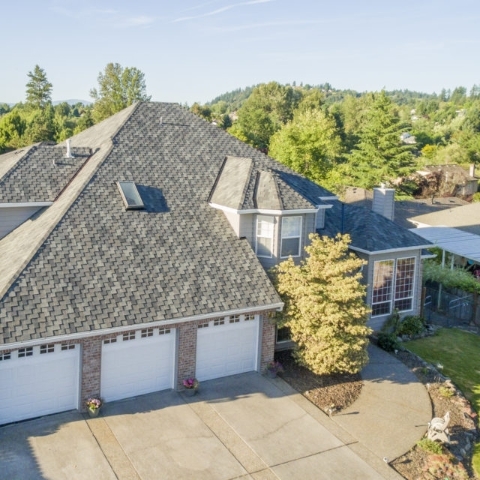 That’s why it’s so important to hire a reputable, knowledgeable Portland roofing contractor for your new or replacement roof. 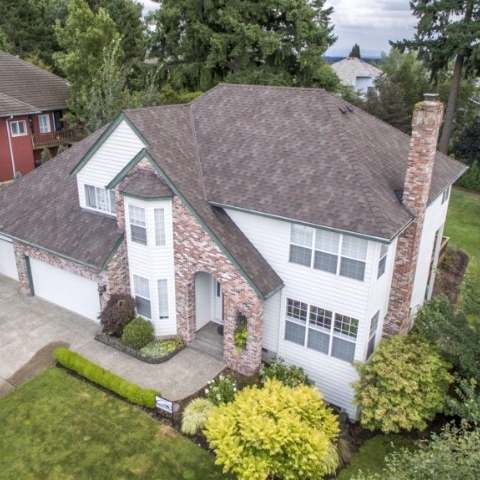 Giron Roofing is a family owned business in the metro Portland and Vancouver area. We are a licensed and insured General Contractor specializing in Roofs, Windows, Painting in Portland Oregon. We make sure we stay up to date on our policies for the well being of our employees and customers. We have thousands of projects under our belt in the local area. You can feel confident in knowing you have a company that is on your side. For years, Giron Roofing installing and repairing roofs on new and existing homes. Our work is guaranteed against defects and most types of damage. 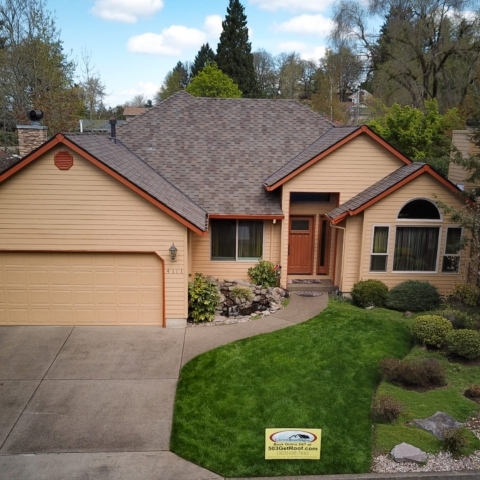 We have rapidly grown into one of Portland Oregon’s premiere roofing contractors by delivering accurate estimates and high-quality rooftops to our valued customers. 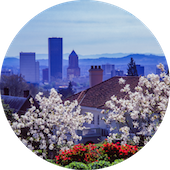 If you reside in or around Portland and you need your roof repaired or replaced, contact us for a free estimate. We will walk you through the process and make sure that you are an informed, satisfied customer. 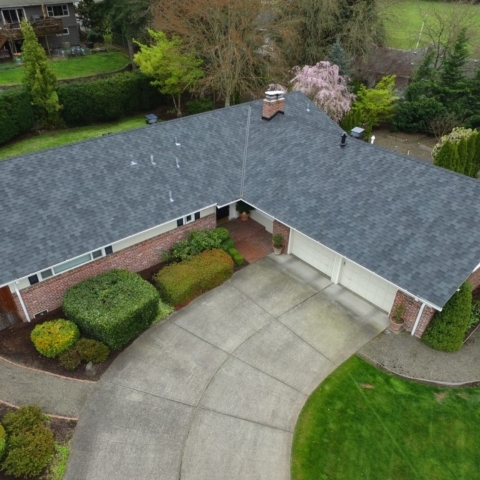 Giron Roofing has become one of the most highly Recommended roofing companies in the Vancouver/Portland area. Giron goes above and beyond to be there for our clients when issues arise. Our clients love how responsive we are if anything happens, and we guarantee no run-arounds. 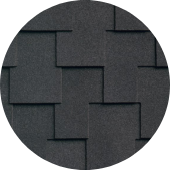 Giron Only works with the highest quality materials and products from Oregon and Washington based companies. We strive to be Eco-Friendly. We make it a mission to reduce our carbon footprint and environmental impact with the use of Malarkey Products and buying locally. We strive to tread lightly on the resources we consume during our projects and continuously reducing the amount of waste we generate. "We met with Jose and he was very instrumental in helping us decide to go with him, to use Malarkey products (had never heard of them) as they are a local company, that makes excellent product, with an excellent warranty, geared for the Pacific NW (we get a bit of rain, moss and wind here). The product Vista AR is rated for like 110 MPH winds and has a lifetime warranty, which replacement kind of degrades at a 1/480th per month over time (so like a 40 year warrant). 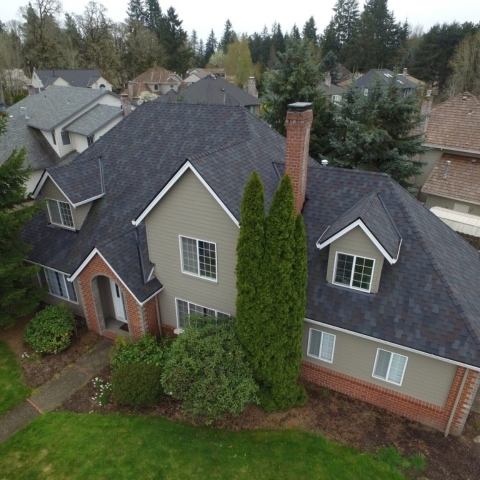 This is phenomenal as most shingles and roofs in the Northwest are lucky to get 10-15 years. My wife and I decided this is our "last roof" of our lifetime (we'll see, but living in the same place for another 40 years puts me at 95, I don't think so, so we went with the best) It wasn't a cheap job, and I won't quote the number of square we laid down, but I assume (based on another roof we did on a rental house) that I may have saved 6K going and shopping around. I had a good feeling about Giron, based on reviews, and Jose's approach to informing us and working with our time schedule (we had to move the team out a week, and they were accommodating as we had personal matters happening the Monday the crew was to arrive for tear off that confliced). Once the job was complete, I had a few nits that needed correcting with some flashing, drip edge and the venting. Some were easy, moving the venting from mid roof to the edge (against their recommendation) was a full day of extra work. Giron, responded, gave great service and the roof looks great, the way we envisioned and of course, we sleep at night knowing its pouring outside for Nov, Dec, January, .... and we have the top-side of our buildings tight-and-right. You may shop, you may find better pricing, but for value, which I define as Service (first), Quality second, and guarantee a distant third. I valued Giron's service, crew responsiveness, and Jose being there after the sale to follow up, and make changes as needed to give 100% satisfaction. In a world where we deal with vendors every day (we manage and run investment property), we know a good vendor when we encounter them, and they usually are worth the price you pay. Having tried to skimp, or find the lowest price vendor, we know you get what you pay for. " "I met with 3 roofing companies before deciding on Giron. I liked their no pressure approach to giving me a bid. They didn’t act like a car salesman, which the other 3 did. This is what we do and this is the price. My kind of people. The price was lower than 2 of the other 3, but it seemed about what it should cost. The lower bid was actually the highest and the salesman kept lowering the price when I said no. Excellent work and really fast. I recommended them to my surrounding neighbors and they used them as well." "Our house is an older house in North East Portland, three stories, steep roof and limited access. The Giron team did an excellent job in protecting the landscaping and plants, and did a thorough clean up of our's and the adjacent yards. The guys worked quickly, but maintained high quality. A few minor details were identified in the walkthrough, and they were addressed within a day. Giron's price was in the middle of the four bids we received, but they displayed the most thorough approach to the estimate, and took great care even in the initial inspection. Overall, a very satisfying result for a significant project." "Project: Install or Replace an Asphalt Shingle Roof They didn't use shady sales tactics, were upfront and on time." "Project: Install a Roof When Jose showed up to look at my house i knew his company was the one we would select he was the only one that got up on the roof and measured everything and looked at the roof good his crew was great they had to tear off 3 layers of old roof and replace up to 25 sheets of plywood they worked there tails off on my 40 year old house they cleaned up every night before they left and did a great job cleaning everything up when they were finished with the job i cant believe how nice the house looks now with a brand new roof and gutters i would recommend them to anybody thanks Jose and the rest of the crew at GironRoofingInc"
"You can't do better! This company is prompt, responsive, conscientious an competitive pricing to boot. They have replaced a roof for me, done repairs, and fixed a skylight problem caused by my builder. It's great to find a roofing company you can depend on. Recommend without reservation." "Very professional and timely in their work. Joy to deal with and attention to detail is excellent. Would use again for future work." December 2018 - Pratik P.
"Quick to respond and set up an appointment and even the install date! And installation itself was quick, clean and efficient! They kept things clean and safe at all times and were always receptive to my curious questions Eric was wonderful and explained everything in simple and more technical terms when asked. 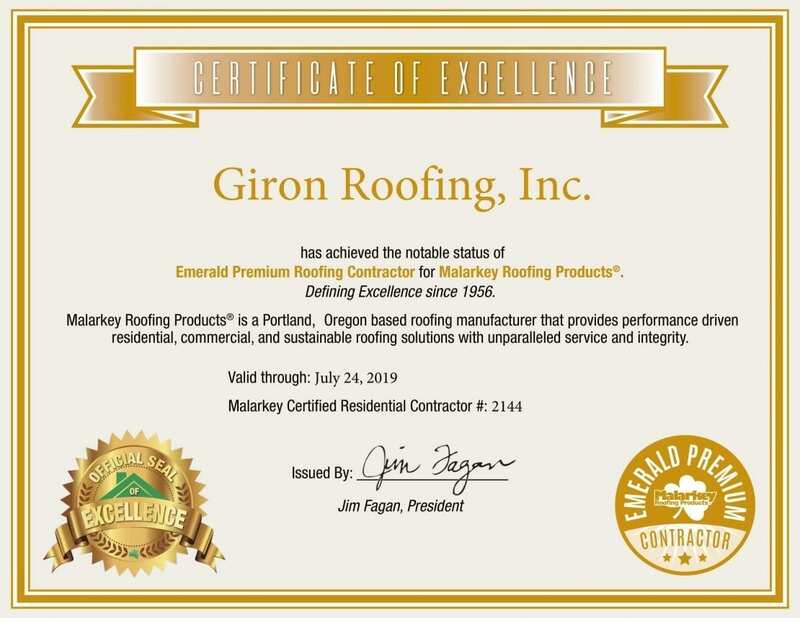 Giron has the highest rating from Malarkey roofing, it’s reassuring for peace of mind that they know what they’re doing and certified so by the manufacturer. Overall a great experience!" "Very happy with service and teamwork of the crew. some confusion up front on the quote, Met with the forman and crew leader who answered all my questions, came up with great suggestions. Cleaned up every night Kept in touch afterwards to make sure i was satisfied"
December 2018 - Anthony F.
"Awesome working with Juan and the Giron team. 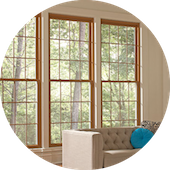 Second time I have used them (different house) and plan to use them in the future." 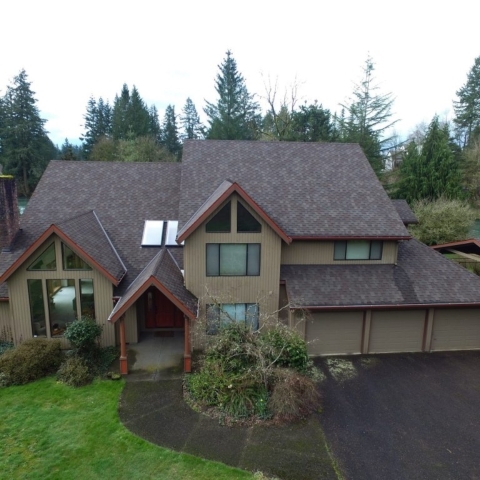 December 2018 - Mike N.
"We had our roof replaced and are happy with the job that was done. Roger was pleasant to work with and made us feel comfortable and confident about the..."
December 2018 - M. F.
"Customer service is #1 and if you have a problem they are on it with your needs. Above and beyond great owner ship and are a hard working team. Highly recommend to all my customers and will give them a call next time. Thanks"
December 2018 - Nathan B. "I do not write many reviews. I have high standards and am often disappointed by service providers. I was delighted with Giron, which I can say about so few people. They started when they said they could start, they came early everyday and stayed until long past dark, there were no days when they didn't have workers in the roof and the completed the roof quickly. They were on budget. They cleaned up after themselves everyday and then again at the end of the job. The crew was respectful and courteous. They did exactly what they said they would do. They were very organized, and very safety conscious. There were no surprises. I would use them again in a heartbeat and I recommend them without reservation. " "They were great. Easy to work with, clean, knowledgeable and friendly. I would recomend them to anyone who needed a roof." November 2018 - Tye H.
"Fair and competitive bid. Great focus on job at hand. Work took better part of a week as expected, even came in during Saturday to continue work and keep schedule. Specialize in Malarkey, which we used. Have strong feeling the business will be around if I need any follow up work done years down the road." October 2018 - Gerald P.
"FABULOUS CUSTOMER SERVICE! When looking for a new roof I got 4 quotes from various companies. Giron came out within a day of first contact. Roger, the sales representative was down to earth, explained the whole process in a language that I could understand. I explained that I was also in contact with other companies & as a true professional would do, Roger did not discount what others had presented, but reinforced the values of what Giron Roofing could offer and supported my concerns and the budget I was working with. As my father always said, "You get what you pay for." I also had my garden shed re-roofed and had new vinyl installed on my existing patio roof. I am totally happy with the outcome and have referred friends looking for a new roof to Giron. As a matter of fact, my next door neighbor just had his roof replaced this past week & it is beautiful! Everyone in the company was involved in the process, from Roger, Jose' & the owner Teo. I had a party for my daughter last weekend & they were all impressed at the quality work! Thankyou again!" August 2018 - Debbie W.
"Giron Roofing was fantastic! Our 1926 house had never had its roof replaced, so the job was a huge one, with difficult access and a steep pitch, as well as two large patios and mature landscaping to protect. Giron Roofing exceeded our expectations. We chose Giron over other companies because: 1) it is a family business, owned and operated by former roofers who operate as a team, 2) Teo (the owner) and Jose (who handles the bids) seemed like nice, honest guys and they really cared about protecting our property, 3) it is a larger company so I felt assured they’d have the crew to do my job efficiently and not drag it on for weeks, and 4) their online reviews were excellent, which gave me peace of mind. I also liked that Giron had experience working on older homes. Let me describe how Giron exceeded our expectations: 1) They started the job precisely when they said they would, showed up every day on time, did a quality job, finished on budget (no change orders, no extras) and completed the project a day early! The job ended up being even more difficult than we thought, with additional layers and excessive heat, so Teo called in additional guys to help. At one point, we had a crew of 18 people. It’s a huge asset for Giron to be able to mobilize a large and experienced crew in order to get a job done. They also succeeded in protecting our landscaping/home, and nothing was damaged despite all the debris. 2) The communication and customer service is top notch. From the management (Teo, Jose, Lester, Armando) to the staff in the office (Daisy and Eddie) to the crew leaders (Luis and Enrique), Giron Roofing was always checking up on me and answering any questions. There was always someone on site to answer questions, and if I had to call a manager, someone always got back to me ASAP. Giron wants their customers to be happy and to have a good experience. 3) The crew, led by Luis, was amazing. They were hardworking, polite and respectful. The guys really seemed to care about their work. This shows me that the company takes good care of their workers. My neighbors even commented on how great the crew was. 4) They cleaned up thoroughly every day and made everything perfect on the last day by blowing off the sides of the house, cleaning the gutters, hosing off/cleaning the patios, and removing the porta potty immediately. 5) Their warranty is great. Giron offers the best warranty Malarkey offers because of their installation standards. Thanks to Giron Roofing for doing such a fabulous job! We are glad we now have a beautiful, new, 50-year roof. If we had to do it all over, we would not hesitate to hire Giron again. This is a great company run by good people." August 2018 - Melissa M.
Malarkey Standard, Pro or Premium warranty are they the same coverage? All Limited warranty transfer-ability: The warranty and all its benefits can be transferred ONLY during the Right Start period. If transferred after that time, the warranty defaults to just a 2-year warranty, even if it began as a lifetime warranty. Potential warranty hassles: Most homeowners never have to make a claim based on material defects. If you do, expect a hassle dealing with ANY manufacturer. The solution is to work with a licensed installer with a good reputation. 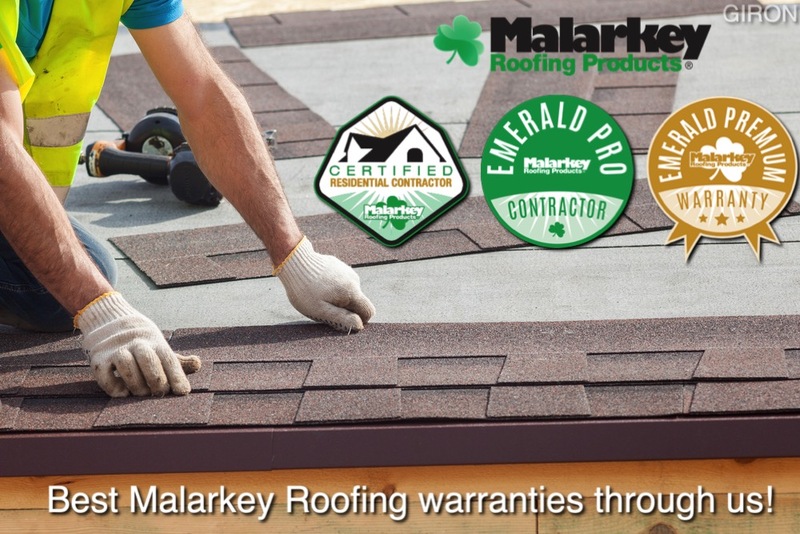 Choosing a company certified by the shingle brand you choose is an extra layer of protection against bad installation and potential warranty claim hassles. Emerald PREMIUM installer offers best warranty of all! 45 years right Non-Prorated start period. Legacy shingle lines get a Non-Prorated 50yrs right start. Windsor shingles 50 years Non-Prorated right start & 15yr contractor workmanship through Malarkey roofing. If your roof is aging, has partial damage (e.g. broken shingles), or shows wear and tear from other conditions, it may be time to repair your roof. If the damage isn’t restricted to one area, it is a good idea (and a less expensive one) to replace the entire roof instead of repeatedly fixing section after section. As a savvy consumer, you are mindful of costs and want to save money. But neglecting any repairs to your roof will actually cost you more down the line. Even if that cost is not in terms of damage, you can lose money if prospective buyers of your home anticipate they will have to make the repairs themselves. The result? Lower offers. Determine the type of roof you have. Do you have a mansard roof? A gable roof? A lean-to roof? What about a hip roof? Is it for a rectangular or a square structure? After you ascertain the type of roof you have, you must calculate the square footage needed for materials. Before any calculation can be done, establish the roof’s slope factor. Multiply the length of the building by the width of the building including overhangs. Then multiply the area times the slope factor. Don’t forget to add 10% on gable roofs. If you have a cottage roof, add 17% for ridges, hips, and debris. 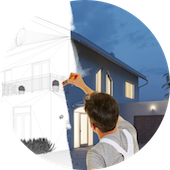 At Giron Roofing, we make certain that all costs are considered when we are providing you with an estimate. That way our estimates are fair and accurate. The realistic response is that it depends on the size of the dwelling. To get a more concrete answer, contact one of our knowledgeable professionals who can speak to you about the process. Qualified roofing contractors will know how to correctly inspect your roof. They will be able to accurately identify the cause of any issues you currently have as well as potential threats in the future. One of the last things you want is to invest in having your roof repaired only to have a problem arise at a later date. Finally, trained roofing professionals will have a variety of technology, tools, and equipment at their disposal. Not many people have the ability to conduct an infrared scan of their roof on their own, which is why a pro is needed. The responsibility of maintaining the roof after it’s repaired falls primarily on the shoulders of the homeowner. Fortunately, there are several easy ways homeowners can preserve their roofs themselves. The removal of debris is very important. Discard any leaves, branches or other objects that can accumulate on the roof in fall and winter. Ensure the roof is dry to help avoid slippage. Inspect the attic or any other space between the ceiling and the roof. The presence of stains indicates there is water seeping into the residence. If stains are found, closely examine the roof for any shingles that may be loose, lifted or missing. Be vigilant of any mold that may have grown in the presence of moisture and have it removed as soon as possible. Wearing heavy waterproof work gloves, regularly clean out the gutters and downspouts. Then, using a bristled cleaning brush, scrub away any dirt and grime which can facilitate clogs. 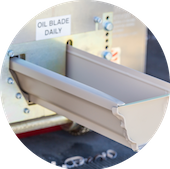 The installation of gutter covers or screens can reduce the frequency of cleaning.